Safety Harbor Resort and Spa is one of America’s oldest and finest spa resorts. Guests have enjoyed the healing mineral waters and tranquil waterfront location on Tampa Bay since the early 1900s. For years, Safety Harbor has been known as a special place in Florida: a haven where “healing waters flow.” But long before modern man came to this popular site on Tampa Bay, Indian shell mound builders inhabited the area almost 2,000 years ago, followed by the Tocobaga Indians and then the Seminoles. These early residents believed the mineral springs held mystical powers; they were the first to see the springs as the answer to perpetuating youth and healing the sick. In 1539, Spanish explorer Hernando De Soto reached the shores of what is now Old Tampa Bay and discovered the natural springs. Believing he had found the legendary “Fountain of Youth,” missed by Ponce de Leon, De Soto established a camp here, naming the mineral springs “Espiritu Santo Springs” (or “Springs of the Holy Spirit”). In the 1850s, Colonel William J. Bailey, previously stationed in the area during the Second Seminole War, purchased the springs and the surrounding land from the government, becoming the first owner of the springs after the U.S. bought Florida from Spain. He called the land “Bailey by the Sea.” Visitors and locals had other names for the natural springs. One such reference to “Green Springs” can be traced to local folklore about a crippled farmer Jesse Green, who was able to “throw away his crutches and resume plowing his fields” after a year spent taking the waters. Beauty Springs, said to cure psoriasis, skin problems and provide cosmetic benefits. Stomach Springs, believed to cure general health problems and had a delicious taste; so much so a long-time Safety Harbor resident once poured it over cereal as a child. Pure Waters Springs, this water was bottled and sold for drinking purposes. The legendary curative powers of the springs soon attracted health-conscious travelers. This resulted in the Water Tower Pavilion and other wooden structures, at the end of what is now Safety Harbor’s Main Street, becoming prominent landmarks, while locals and visitors alike helped themselves to the springs. In fact, the springs created an international business, as the curative waters were bottled in five-gallon jugs and shipped around the world. The “Great Florida Land Bloom” of the early 1920s found Captain James F. Tucker and his wife, Virginia, taking ownership of the mineral springs and surrounding yet undeveloped lands. Soon after their purchase, they formed the Espiritu Santo Springs Corporation and began developing the springs area in the eastern section of town. On the land they erected The Safety Harbor Sanitorium (also called Espiritu Santo Springs), constructing two pavilion buildings to replace the wooden structures destroyed by a 1921 hurricane. Across the street, they built the Espiritu Santo Springs Hotel (later known as the St. James and today as the Harbor House), providing overnight lodging for those traveling to “take the waters” at the sanitorium. In 1936, the Tuckers sold the springs and sanitorium for back taxes to Dr. and Mrs. Alben Jansik, who restored the resort and built a 45 ft. by 95 ft. swimming pool through which 8,000 gallons of spring water flowed daily. Tourist literature of the day described the resort as “a Florida haven for those in search of health, recreation and rest.” Soon wealthy U.S. families and celebrities like the Great Houdini, and department store founders F. W. Grant and Russ Kresge came to visit. In 1945, Dr. Salem H. Baranoff purchased the springs and sanitorium. His vision to create a true resort health spa, with on site accommodations to house overnight visitors was at the forefront of the health spa movement, and “The Safety Harbor Spa” was born. Dr. Baranoff extolled the benefits of naturopathic medicine, combined with the therapeutic properties of the mineral water. His partnership with two other physicians in 1950 turned the resort into a modern-day wellness retreat, offering massages, mineral and steam baths, health foods and hot packs. It was also under Dr. Baranoff’s ownership that “The Safety Harbor Spa” became a global phenomenon. People from all over the world came to the Spa seeking not only the curative powers of the waters but for simple relaxation as well. Hence, his vision opened the door to a new market – people with a consciousness and interest in wellness in terms of preventive medicine and healthy living habits – not strictly therapeutic approaches for various ailments. As wellness became more mainstream, Dr. Baranoff’s extraordinary foresight established The Safety Harbor Spa as a true health-giving retreat, frequented by many “snowbirds” who would come for the entire winter season to “take the waters” and literally immerse themselves in a healthy regimen that included diet and exercise. In addition, the Spa drew yet another unexpected clientele –sports athletes in search of therapeutic remedies from the springs as well as utilizing the facility as a training camp. In particular, it has been said for years many professional boxers came to the Spa for training, preferring the tranquil setting and all the health benefits the Spa offered to working out in big city gyms. By the early 1960s, it was apparent The Safety Harbor Spa was more than just another health spa in our nation. Its historic significance was recognized in 1964 by the U.S. Department of the Interior and designated an historical landmark, and 1997 it became a Florida Heritage Landmark. As is often the case with American landmarks that survive over decades of social and economic changes, the Safety Harbor Resort and Spa experienced a period in which the famed resort lost its luster. People from around the world were coming to Florida for other reasons, enticed by numerous new Florida attractions built nearby in Central Florida, beautiful white beaches and lifestyle trends that were not conducive to creating a consciousness and demand for healthy living choices. Those years of lackluster growth and prosperity have come to an end. Under new ownership, a renaissance has begun at the Safety Harbor Resort and Spa, intended to restore those glory years under Dr. Barnaoff’s proprietorship, and build beyond that to take the resort to new heights as a center for health-giving options centered on the natural mineral springs, for residents and visitors alike. In 2004, the Safety Harbor Resort and Spa was purchased by the Olympia Development Group Inc. of Dunedin, Florida. Founded in 1991, Olympia has a proven track record as a real estate development company in design, construction, financing and leasing. It also has gained distinguished recognition for its expertise, resources and portfolio of multi-tenant retail and mixed-use projects throughout the southeastern U.S. Its president and CEO is Founder William E. Touloumis, a former chief corporate architect, whose vision has been depicted for years in the various inventive designs and in successful developments Olympia has brought to fruition. 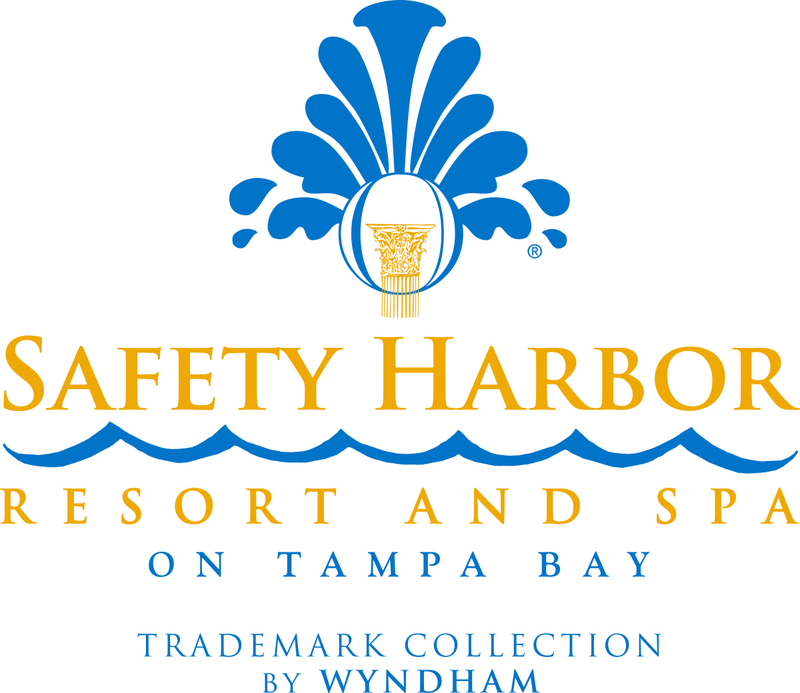 Under Olympia’s ownership and with William Touloumis’ leadership and vision, a new concept has been formulated for the Safety Harbor Resort and Spa. This far-reaching plan is generating new interest in Safety Harbor Resort and Spa as a destination spa retreat, conference facility and center for wellness, focusing on building upon the resort’s rich history and worldwide recognition as a unique place to enhance one’s health and well-being through the mineral springs. Through a multi-million dollar renovation of the property, encompassing the hotel, a retail shopping promenade and residences on the expansive waterfront land surrounding the Spa, Olympia Development will once again create a destination retreat in Safety Harbor, enhancing the visibility of the historic mineral springs that continue to flow. Today, the 50,000 square foot spa and fitness center is still at the heart of this resort, offering its own brand of relaxation, rejuvenation and refreshment for visitors and local residents alike. Throughout its history, the Safety Harbor Resort and Spa has remained an international marvel. That’s because in spite of changing economic times and trends, one aspect of this extraordinary retreat has remained constant. It’s a phenomenon that will be more apparent than ever in the years to come under its new ownership and management. The mystery and enchantment of this place, “where healing waters flow,” will continue to endure and attract travelers and locals alike to the Safety Harbor Spa mineral springs.